The writer who sets her mysteries in an historical era must “translate” the customs and assumptions of the past to make them accessible to the contemporary reader. The writer who sets her mysteries in a foreign culture must also translate the cultural milieu for (at least in AHMM) an Anglo-American readership. I. J. Parker, who sets her Sugawara Akitada series in 11th-century Japan, faces the daunting prospect of double translation. But as this How’d That Happen post reveals, the tales and traditions of a world well removed from ours can also provide a rich source of inspiration. As a writer of historical novels and stories I do a great deal of reading in early Japanese literature. Not only do such works provide useful and necessary background for setting and culture, but they frequently suggest ideas for stories and novels. While there are no detective stories among the varied types of fiction by the early Japanese, crime seems to have been both common and violent. Usually, the original story does not go beyond the telling of the shocking event, though occasionally it attaches a religious moral to it. This offers a challenge to the author of crime fiction. We not only want the crime solved and the killer punished, but we are also curious about motives and the psychology of the characters involved. A few years ago I had a troubling puzzle on my hands when I came across the tale of Lady Kesa and the monk Morito in the Heike Monogatari, a war epic from the twelfth century. In this particularly shocking story, Morito, a jealous lover, sets out to kill Kesa’s husband. After decapitating his victim while he is asleep in his bed, he finds that Kesa has taken his place and he has killed his beloved instead of his rival. To a western reader, the young woman’s sacrifice to protect her husband seems extraordinary. Why hadn’t she simply warned her husband? What had their marriage been like? What was the precise relationship between Kesa and Morito? As for Morito’s punishment: there was none in the original story. Morito became a monk and one of the minor heroes of the Heike Monogatari. Nothing is explained in the epic, yet there must have been explanations. My most recent story, “Confessions,” again began with an original Japanese tale. It also explores justice, character, and the concept of guilt. In this case, the source was the “Tale of the Three Priests” (“Sannin Hoshi” from the Muromachi period). It is a simple and didactic story in which two priests confess past crimes to each other and to a third and discover that they are talking about the same murder. The third priest rules the crime a fortunate event in that it elevated the victim to divine status for being instrumental in bringing two guilty men to dedicate their lives to Buddha. I rebelled against such a definition of justice and wrote a new story. What interested me was the shared guilt of the two priests rather than the religious implications of their actions. I also saw little purpose for the third priest in the old story and decided to make three men to varying degrees responsible for the death of a young woman. What caused their actions and differentiates between their respective levels of guilt lies in their individual character traits. Fate may have played a part, but only because their personalities preordained that an innocent person should die. And that brings me to the importance of weather in the story. It is the middle of winter, it is freezing cold, and the world is covered with a thick blanket of pure white snow. It is the last month of the year, the three-day Onbutsumyo, a Buddhist service of confession before the New Year. This timing is rich in imagery of decline and renewal, of death and rebirth, of corruption and cleansing, of pure beauty and flawed humanity. Akitada is approached by an elderly nobleman who seeks absolution for a crime he may or may not have committed in his youth. Shivering with fever, he tells the story of his misconduct against the background of a beautiful but frigid Spring Garden. Accepting the case, Akitada begins an investigation of an old crime. In this scene and elsewhere, the weather adds atmosphere, background, contrast, and meaning. As it turns out, two other men were involved in the death of the young woman. All three struggle with their consciences, but significantly their concern is for themselves. They hope to lessen their guilt through confession or to clear their reputations by proving their innocence. Ultimately, the truth doesn’t set them free, though they don’t realize it. The three men cannot rise above their self-interest in spite of their new-found knowledge. Digging deep into a time of history that interests you as a means to find a new story, is new to me. I like the idea. I wonder, however, if I’d be able to create art that imitates life in another time. I’d be weary of making some cultural mistake due to ignorance. This aspect would require much research before I could allow my imagination to take over. Even coming from the US and related to family that originated in London, one can make mistakes with a story that takes place centuries ago in London by the subtle actions or reactions of characters that somehow do not reflect the milieu of the day. So my congratulations to you and others who are dedicated and talented enough to pull this off. 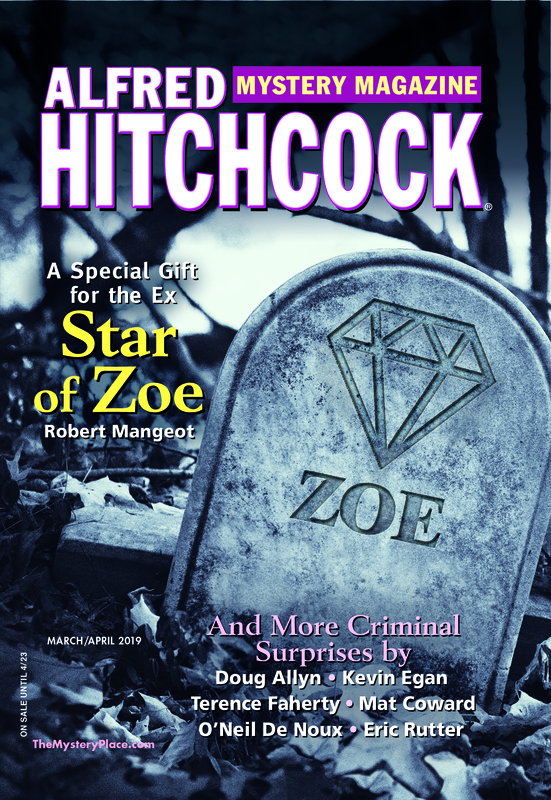 My new novel, Murder at the P&Z, will be published in May by Mainly Murder Press.